DIDCOT, UK / ACCESSWIRE / August 14, 2018 / Altus Strategies Plc (AIM: ALS & TSX-V: ALTS), the Africa focused exploration project generator, provides an update on its exploration activities at its 100% owned 411.7km2 Daro copper-gold project (''Daro'' or the ''Project'') in the Tigray province of northern Ethiopia. 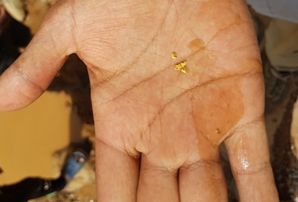 "Exploration at Daro is continuing to yield exciting results, with high gold and copper assays returning from a number of surface sampling programmes, including 37 g/t Au and 22.7% Cu. The presence of gossans, polymetallic mineralisation, significant artisanal gold workings and favourable host geology continues to indicate the potential for a VMS discovery within Daro. 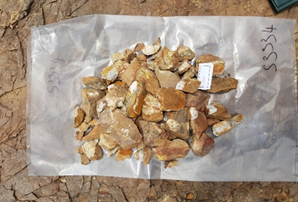 We are also excited to continue developing the Project further, with the discovery of the Keren prospect containing a gold-bearing quartz vein and stockwork system. Our next phase of work will include mapping and selective channel and soil sampling programmes. We look forward to updating shareholders on the results of this work in due course." 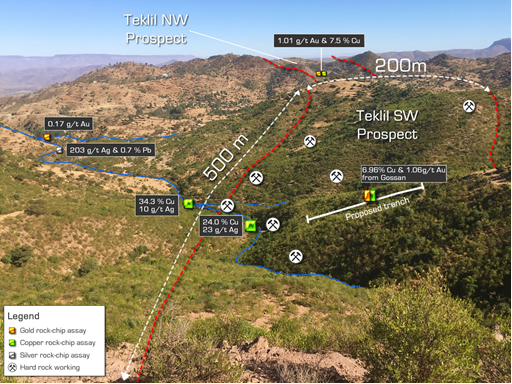 Rock chip sampling at the Teklil prospect has returned results of 4.4 g/t Au from quartzite and 11.6% Cu from metamudstone in the immediate hanging wall of a newly discovered gossan. A total of 75 rock chip and float samples were collected as part of the programme. As previously reported by the Company on the 5th of April 2018, a sample of gossan float from Teklil assayed at 34% Cu. 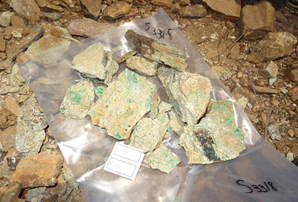 Follow up exploration in the vicinity of this sample has discovered in-situ gossanous material, a sample of which has assayed 6.95% Cu and 1.06 g/t Au. An additional sample of gossanous float collected in this area has assayed 22.7% Cu and 6.51 g/t Au. The gossan zone at Teklil has now been mapped discontinuously for approximately 900m and is up to 15m wide. Stream sediment samples located approximately 750m to the north of the Teklil prospect have returned anomalous gold (including 9ppb Au and 6ppb Au), which when coupled with a 4.4 g/t Au sample of outcrop in the vicinity, indicate that the prospect remains open to the north. Exploration following up on anomalous stream sediment results (including 111ppb Au and 76ppb Au), has discovered the Keren prospect which is located approximately 9km southeast of the Teklil prospect. A sample of quartz float at Keren, has assayed 37 g/t Au, while multiple rock chips have returned values greater than 0.5 g/t Au and up to 10.35 g/t Au. A total of 75 rock chip and float samples were collected as part of the programme. 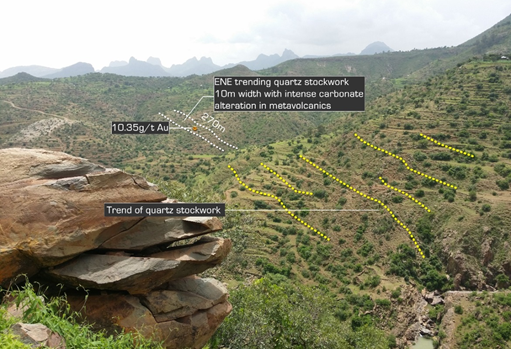 Six zones of ENE-WSW striking discontinuous and sub parallel quartz veining and stockworks have been mapped at Keren to date, with each zone being mapped as between 25m and 300m wide within a 2km long area of interest. Geology and structures of the Daro licenceis shown in Figure 2. 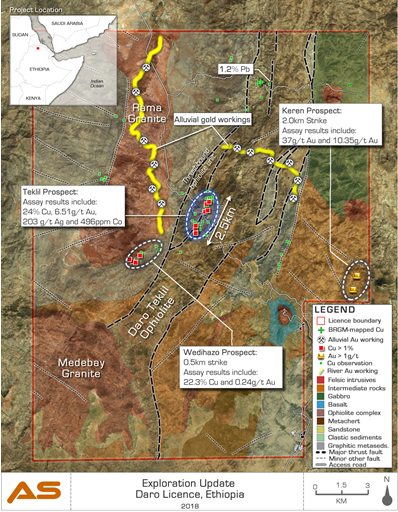 Overview of the Keren gold-copper prospect is shown in Figure 4. The Daro exploration licence is held by Altau Resources Ltd, the Company's 100% owned Ethiopia focused subsidiary. The licence is located in northern Ethiopia, 95km west of the Company's Tigray-Afar Cu-Ag project, 100km northwest of the Tigray state capital of Mekele and 570km north of Ethiopia's capital, Addis Ababa. Mekele has a regional airport and year-round access to the licence area is provided by a network of maintained surfaced and graded roads. 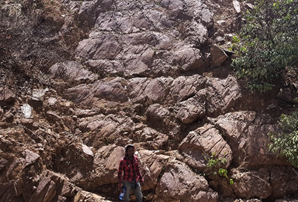 The Daro licence is situated within the Neo-Proterozoic Nakfa Terrane, at a junction between two major tectonic blocks and comprises a series of metasedimentary and metavolcanic rocks, affected by thrusting and intrusion of the Rama granite. A band of mafic to ultramafic rocks bisects the licence from southwest to northeast, interpreted to be an ophiolite complex of ancient oceanic crust and seafloor sediments. Historical data compilation of Daro, undertaken by the French governmental Bureau de Recherches Géologiques et Minières ("BRGM"), has defined a number of marker lithologies and structures that are considered prospective for VMS deposits. These include the presence of bimodal volcanics and associated sediments, mafic and ultramafic lithologies which conform to an ophiolitic sequence, as well as the presence of extensive chert horizons. The Nakfa Terrane hosts a number of significant VMS base metal and gold deposits and mines. 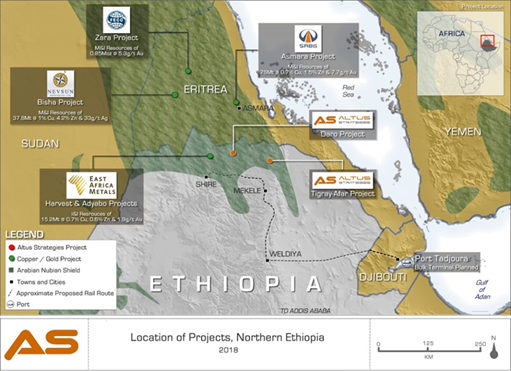 These include Bisha, a polymetallic mine operated by Nevsun Resources Ltd (NSU) 190km north west of Daro, the Harvest and Adyabo projects, being advanced by East Africa Metals Inc. (EAM) 35km west of Daro and the Asmara project being advanced by Sichuan Road & Bridge Mining Investment Corp Ltd 100km north of Daro. All sample preparation and assay was undertaken by ALS Global at their laboratories in Addis Ababa (Ethiopia) and Loughrea (Republic of Ireland) respectively. To date the Company has collected 195 stream sediment samples at the Daro project. Given the early stage nature of these programmes, no Quality Assurance and Quality Control ("QA-QC") samples have been sent for assay. Rock samples were crushed with 70% passing -2mm. The <2mm fraction was pulverized with 85% of the sample passing <75 microns. The fine fraction of each sample underwent a four-acid digestion with ICP-AES analysis for a suite of 33 elements. Sediment samples were dried at a temperature of less than 60°C and sieved to -180 micron (80 Mesh). The fine fraction underwent aqua regia digestion with super trace ICP-MS analysis for a suite of 41 elements. The stream sediment sample programme covered approximately 65% of the 411.7km2 Daro licence area. Drainage catchments within the licence were defined using 1:50,000 scale topographic maps prepared by the Ethiopian Mapping Authority. At each sampling locality, a 4kg sample of <2mm sieved material was collected from trap sites within a 10m radius of each location. At each site, the sample ID, coordinates, elevation, trap site type (if applicable), colour and moisture was noted, along with any interesting float material and areas of artisanal workings.